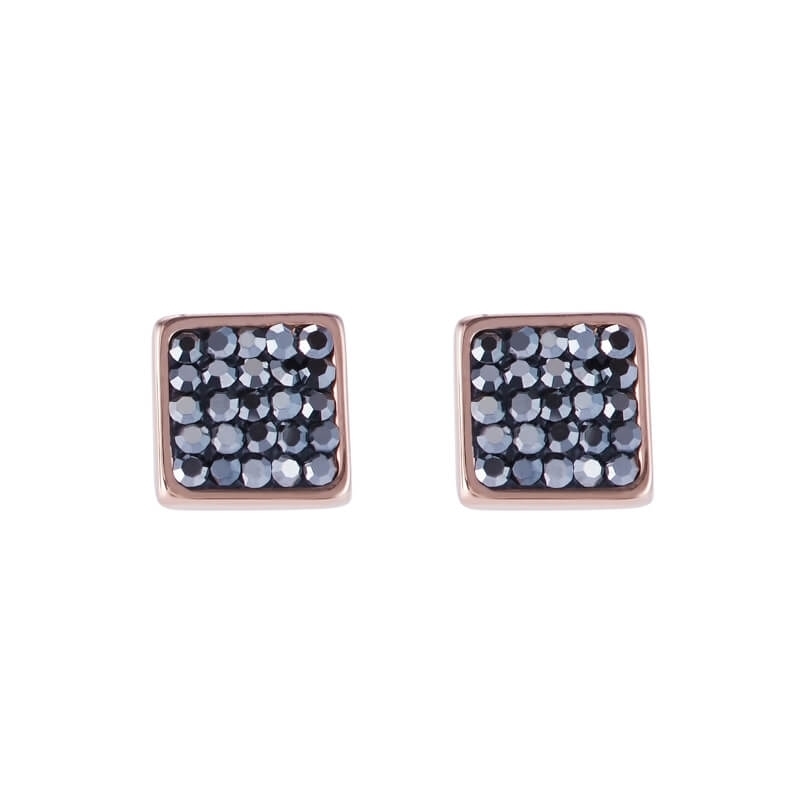 Coeur De Lion Anthracite Rhinestone and Stainless Steel Stud Earrings. Dispatched complete with premium case and certificate of authenticity. FREE Tracked 48 UK Delivery is available on orders over £50. Tracked 48 UK delivery is £1.95 for orders under £50. Please note that Tracked 48 orders generally arrive 2 days after the date of dispatch, however this is not a guaranteed service, so please allow 3 - 4 working days for delivery. Orders over the value of £100.00 will qualify for Free Royal Mail Guaranteed Next Day Delivery. (Orders below the value of £100.00 can upgrade to Royal Mail Guaranteed Next Day Delivery for an additional cost of £5.95). We dispatch orders on the day of receipt up until 4pm and deliver via Royal Mail Tracked 48 and Royal Mail Special Delivery. We will notify you by email once your order has been dispatched. Please note: If ordering on a Friday, please select Royal Mail Saturday Guaranteed Delivery (£10) and place your order before 4pm if you need to receive your order the following day. The Royal Mail Guaranteed Next Day (£5.95) next day delivery option only guarantees Monday delivery for orders dispatched on Fridays. Royal Mail Guaranteed Next Day Delivery guarantees delivery of your order before 1pm when placed before 4pm (Saturdays excluded). Orders received after 11am on Saturday will be dispatched the next working day. All delivery time-frames exclude Bank Holidays. If you are unhappy with your purchase for any reason, you may return your item(s) back to us unworn and with their original packaging within 30 days of receipt. To arrange a return please follow the instructions on our returns page. We use the industry leading internet payment company SagePay to protect your card details and protect us from fraud. Sagepay has achieved the highest level of compliance under the Payment Card Industry Data Security Standard (PCI). They adhere to the most stringent levels of fraud screening, ensuring that your details remain secure throughout the transaction process. © 2019 Gift and Wrap. All Rights Reserved.